Virginia Tech (16-3, 5-2) had the rest of the week off before returning to the court at home against Syracuse. It was a huge day for senior Justin Robinson who admitted publicly to being in a funk lately. He busted out for 35 points and set two school records in the process. Robinson set the single-game record for three-pointers and passed Bimbo Coles for first all-time in career assists. Syracuse (14-6, 5-2) was frustrated by the Hokies’ defense all night and mustered just 56 total points. They were held to 36.4 percent shooting from the floor and committed four shot clock violations on the night. Clemson’s Marquis Reed missed four key free throws in the final minute and NC State’s Braxton Beverly canned a clutch shot as time expired to steal a 69-67 victory for the No. 21 Wolfpack. It’s about as unlikely a finish as you can imagine. Reed is an 81.6 percent free throw shooter and had made 9-of-10 prior to the end of the game. The Tigers fell to 11-8 overall and just 1-5 in ACC play. It’s a big win for the Wolfpack (16-4, 4-3) as they avoid slipping to a losing record in conference play after losing two of their previous three ACC games. This one had the feel of a game they would have fumbled away in many past seasons, but this time the unusual breaks went their way. The next three games are brutal with dates against No. 3 Virginia, No. 10 Virginia Tech, and No. 11 North Carolina. The No. 23 Cardinals knocked off No. 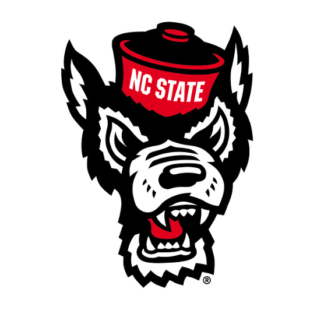 21 NC State 84-77 Thursday night. It marked their third win over a ranked opponent this season and continues the remarkable turnaround led by Chris Mack. Louisville (15-5, 6-1) is now tied with Duke and Virginia atop the conference standings thanks in large part to forward Jordan Nwora. The sophomore out of Buffalo leads the team in scoring (18.7 PPG) and rebounding (7.9 RPG) during his massive leap forward this year. His minutes have gone from 12 per night to 31, and he’s become the anchor for everything they do. He’s a match up nightmare who can create off the dribble and has tremendous range. He may well lead them on a deep run come March. -Georgia Tech continues to be pesky, thought the wins don’t always follow. They held Duke to 66 points in a respectable loss at Cameron Indoor Stadium on Saturday, and the Yellow Jackets (11-9, 3-4) edged out Notre Dame by two earlier in the week. They’ve got a tough one against Carolina Tuesday, but upcoming games against Florida State, Clemson, and another with Notre Dame could be very winnable. -Duke is not a good team from outside the arc. It may be their only weakness, but it could prove to be an issue as the season progresses. Duke is 1-of-12 from 3 tonight. Duke has shot 458 3s this season, 4th-most in the ACC. Duke has made 30.57% of its 3s this season, 15th in the ACC. Only 5 teams – Sav St, Coppin St, Mt St Marys, UT-Arlington & Stetson – have shot more 3s while hitting a lower % than Duke. -Florida State sophomore M.J. Walker sank a career-best six three-pointers in a Sunday night win over Miami. He finished with a game-high 22 points to keep the Seminoles (15-5, 3-4) in the ACC hunt. Miami at 9-10 overall and 1-6 in ACC play is struggling through a rebuilding year. Virginia Tech and Virginia are on the schedule this week which doesn’t help. -Four ACC teams have yet to win a road game this season: Wake Forest, Notre Dame, Miami, and Pittsburgh.